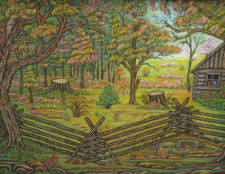 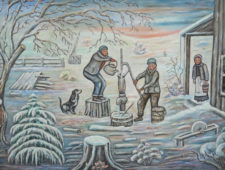 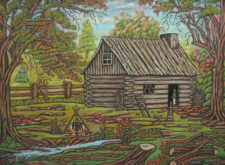 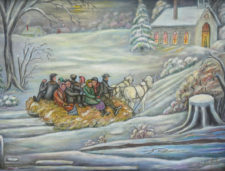 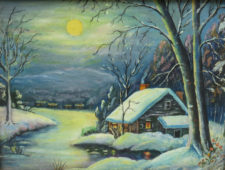 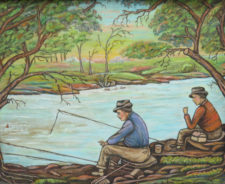 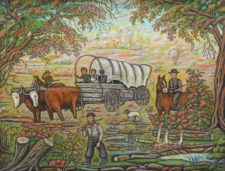 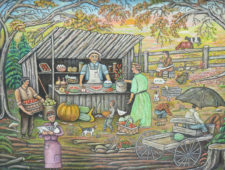 Leuty McGuffey Manahan (1889 – 1977) has been referred to as Ohio’s grandma Moses. 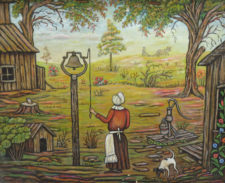 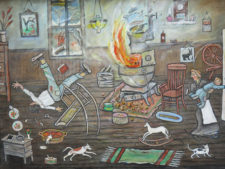 Her primitive, but focused, style portrays life in rural America in a humorous, occasionally satirical manner. 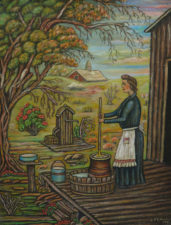 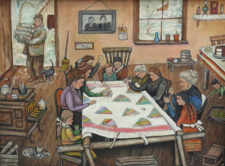 Her works have been exhibited in New York City, New Jersey and major universities throughout Ohio. 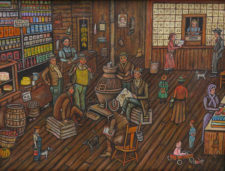 The gallery, in collaboration with The Ohio Company Antiques and Art, is proud to share her paintings with the public for the first time in nearly 20 years. 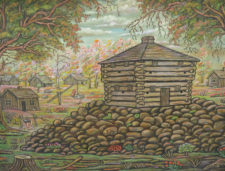 To read more about Leuty McGuffey Manahan, click here.